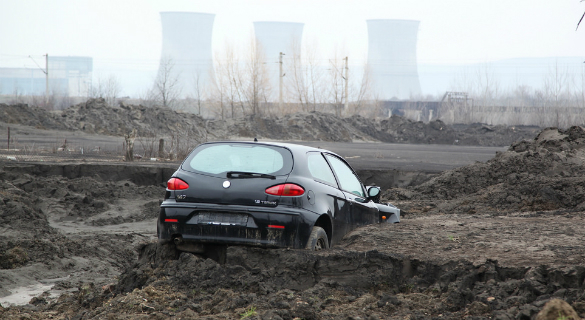 People in the Submaidane-Turceni area in Romania live their lives in coal ash that still hasn’t been cleaned up after an accident that took place in December 2013 at an ash deposit belonging to the Oltenia Energy Complex in Turceni. 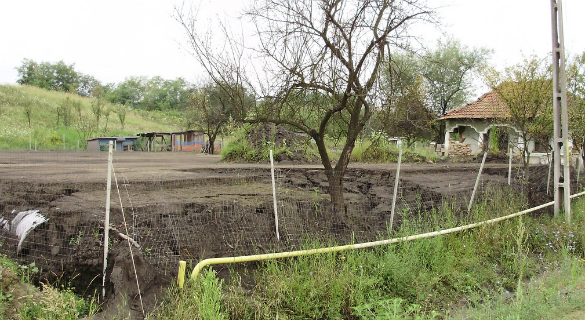 People in the Submaidane-Turceni area in Romania live their lives in coal ash that still hasn’t been cleaned up after an accident that took place in December 2013 at an ash deposit belonging to the Oltenia Energy Complex in Turceni. They can’t seed their land, they know their water is not fit for drinking and they have problems with air pollution, as ash is blown by winds when it’s dry. These are the complaints that representatives of the Oltenia Energy Complex could have heard at a public debate on Sunday – had they been there. 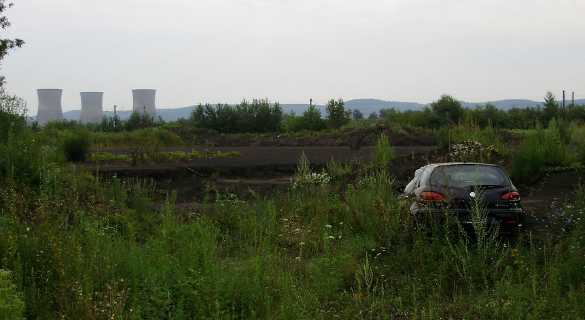 Rather than learning first-hand about the problems that still persist and which measures still need to be taken to help the locals, the Oltenia Energy Complex chose to send a document instead that lists clean-up measures that were implemented, but which didn’t address people’s current issues. Turceni is the largest coal thermal power plant in Romania and it is part of a complex consisting of several coal power plants and lignite mining operations. 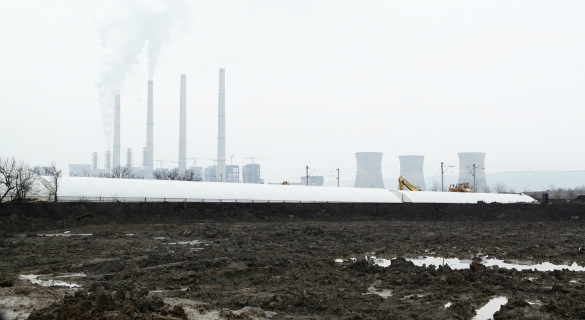 Out of the seven units that were built at the Turceni power plant, 3 units will continue to operate in the near future. 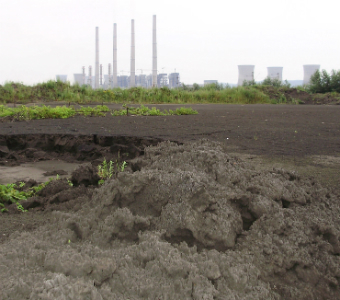 The power plant uses local lignite and it was the second most polluting industrial facility in Europe in 2009; since then, facilities were built to comply with sulphur oxides emission standards. 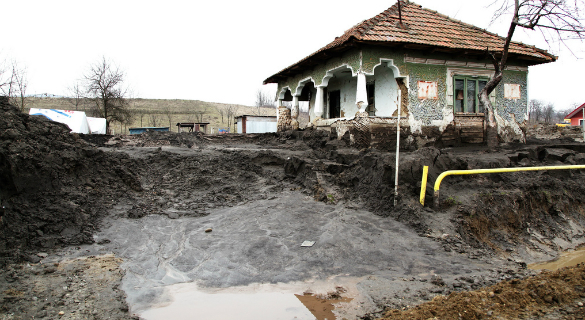 In December 2013, following damage at the Oltenia Energy Complex’s Valea Ceplea ash deposit, located a few kilometres from the Turceni power plant, an ash and water discharge flooded 15 hectares of agricultural lands and 10 households in the Submaidane area of the Turceni and Ionesti settlements in Gorj County, Romania. The company was fined earlier this year by the Environmental Inspectorate for not having taken all measures to prevent the accident from taking place. In March 2014, the energy complex had committed to take all clean-up measures by September 30th 2014, i.e. removing the ash from gardens and lands, restoring the local road, cleaning the water discharge channel that enabled the flooding, rehabilitation of houses and commissioning soil analyses. 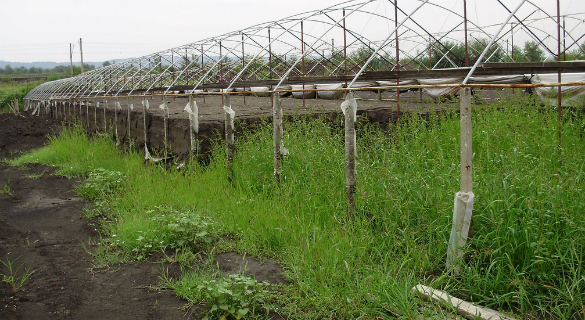 At this time, much of the agricultural land is still under a thick, one-meter high layer of ash, and fertile soil hasn’t been brought to people’s gardens where they normally grow their vegetables. Their road used to be a gravel one, now it’s a muddy space that isn’t fit for use on rainy days. 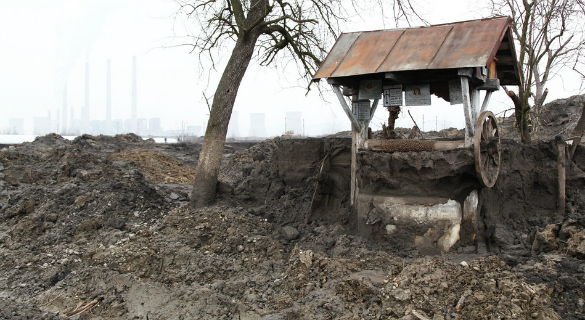 Moreover, water in people’s wells is not fit for drinking and they also complain about heavy air pollution on dry and windy days, when ash is blown from the flooded lands and from an ash deposit located next to the power plant. These images taken in August show how much still needs to be done. This is a long story described in a few words. But words are never enough – just as much as the company’s lip-service commitment towards sustainable development and social responsibility is worthless if it does not translate into action. The Oltenia Energy Complexy must clean up its act and it has to do so urgently. Photos of the Submaidane area and the public debate are available at http://bit.ly/1tEnr2D and http://bit.ly/1pGIdqN respectively.